The Superior University is determined that leadership ignite in the qualities of Prof. Dr. Ch. Abdul Rehman, a youthful passionate educationist filled up with lots of enthusiasm to chip in big for his country and to bring a constructive change in the society. 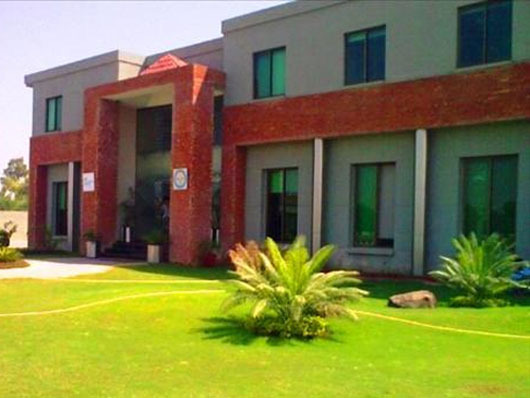 The amalgamation of 2 purposeful giants proved fruitful and the first campus with the brand of Superior College commenced working in 31- Tipu Block, New Garden Town, Lahore. Thanks for visiting our site which is compatible of Universities Admissions and details. We provide the best information about Superior University Admissions 2019.
salam… i am noor and i want to get admission in bs medical imaging technology in superior universiy lahore.please inform me about admission date 2012. This Program is offered by superior university and its admission has came after 2 month. is superior uni offers civil eng??? when the admission will be open for BS Aviation and what was the last year merit of this discipline? plz inform me as soon as possible. Its admission offered on July and its eligibility is 50%. Is superior uni offers Bs psycology? BS Psychology is not offered by Superior University. i am ali.please inform me about MBBS in azra naheed medical cllg. what is the scolarship criteria for pharm D?? 17 june to 12 July. This aviation courses that superior has now offered that regard to the aviation.You have large of oppurnities after acquiring this degree. I intend to know about the area of entry test/ interview for the admission of LLM. Is any change in fee schedule? The entry test will be held on University Campus. is there is also admission test for BS Aviation? reply me as soon as possible…. Yes their test for the aviation this SAT test it include general knowledge and english type questions. i am a student of superior from fsd. i want admission in software engg. do u offer that? and what will be my fee? i am already a superior student. and i want split degree program. waiting for answer. Software engineering is not offering by university. i want 2 know is superior universty gives scholerships? Yes this university has now offered scholarships 30% in program.But this scholarships is not on medical and engineering programs. y no scholarship for medical students? This is rules of the superior university. i have applied in BSc computer science programme,i want to know about the test, what type of test will be there on 14th july. From where shall i prepare. And secondly i want to ask is there any scholarship for A Level students in Superior University. The test is MCQS Types and it include general Knowledge and english test. I want 2 take admission in bsc electical engeneering.. plz tell me the criteria and admission date for it.. The admission date for the admission is 12 july and entry test will be held on 16,17,18 july.The eligibility for the admission is 60%. I want admission in MS program? Can I apply now for the admission in this cession? Admission is closed now.New admission will not be announced. Admission is closed now currently.New dates will Never be announced. Assalam-o-Alikum..I just Want to ask that is there any chance for the students of pre medical to get admission in bs Aviation management?plz reply soon.. Yes you have get admission in BS Avation. please tell me when the admission of mbbs will be open? can i still get admission????? plzz tell me. Yes you have get admission in this university for Engineering. plx tell me whn the admission will opn in bds? ?/ and plx tell m tht is the admission for physiotherapy will again open aftr mcat test in sep. These courses are not offered by the university. Hi salam. can you pls tell me the fees of M.com for 2012-2014 session. and what are the dues per semester? Sir i want to know the admission date in summer sessi0n 2013… and about all the programs that you offer in summer sessi0n.. Maximum 60% marks are eligible for the admission. please tel me about b.s arch wht percentage is eligible in this program ? No minimum eligibility for admission in Engineering is 60%.Because this is requirement of PEC. sir je engeenring ma admission ho sakta hai abi? Currently admission date has closed now. You have get maximum 60% marks for eligible in Engineering. sir i want to get addmission in LLB……..plz tell me about addmissions….?? AoA mujy LL.B admission lena ha.tu kiya abi admission mil sakta ha k nihi? You have verify from the University Admission Cell. aoa, sir kindly tell me about the last date for admission in physiotherapy. plzzzz i m waiting for ur reply. sir,when B.com(Hons)regular classes start . plz say me date or time………. sir i want to admission in LLB 3 yearz programe kindly guide me. i want details about aviation ? o av supli in 2subjects n in decembr i will clear my supply…plz gudide me about aviation i want to join?? Sir, i have to ask that what is the criteria for students of SUPERIOR(F.Sc) to take admission in Superior univ…..what are the fee concessions that will be given to these students…. Superior university has offered 50% concession to the superior college students.After that if you have not maintain your GPA to 2.5 then your concession will be terminated.But this concession is not on Medical and Engineering Courses. (after 4 year BBA) MBA k kitne credit hours ha? 93 Cr. Hrs. for Profesional, 78 Cr. Hrs. for Excutive and 2 year. Maximum 45 % eligible for taking admission in Aviation. Currently admission date are closed. You have get maximum 50 % marks for successful admission in Superior University. Eligibility for admission is B.SC Civil Engineering, B. Arch, B.Tech(Hons) Civil or equivalent qualification. Total Credit hours is 32 hours. Get prospectus from the university and after this university asked for entry test. After entry test applicants asked for interview and final selection. and whats the criteria or eligibility to apply for this program ? hi i’m aaqib.i want to get admission in bs aviation technology.what is the eligibility for this programme. I WANT TO TAKE ADDMISSION IN pHYSIOTHERAPY……PLZ PLZ INFORM ME ABOUT THE REQUIREMENTS IN DETAIL…. I want to take admission MBA can you please tell me the criteria, i got 3.5 CGPA in MCOM from Superior.and please also tell me the scholarship criteria. Sir .i want to get admission in LLM. Plz inform me about admission prosses, fee and last date of admission. Currently admission are not annouced in Superior University of DPT. kindly plz info me when the admission is open for mass communication?? Yes, Abdul you get admission in M.Phil/MBA. Last Date of Form Submission 10-07-2014.
sir i want to know the eligiblity criteria for software eng. Software Engineering is not offered by Superior University. plllz tell me about fee of BBA(Hons)N can i apply through NTS result? N how much %age i have to get in NTS?? Mona you not apply through NTS Result. Superior University conduct his own entry test. BS in Civil Technology is not offered by Superior University. my ny waha sy pata kiya tha wo bs civil,mec,elect, my karwaty hia.superior college of tecnology my 2 din pahaly hi gaya tha. Yes, dear Superior Offered this course and admission should be start to till 10th July 2014. A.A! Sir, I want to get admission in MS construction Management in univeristy, I have passed B-Tech (Hons) civil. sir is superior offering civil eng ????? Superior University not offering BS in Civil Engineering. sir bs tecnology civil ka superior univeristy my merit kaya ho ga.???? bs cs ka kyaaa hisaab kitaaab hai ?? You have 50% marks in FSC then you should apply for admission in Superior University. Yes, university offered B.Tech Civil Engineering. You apply for admissions in B.Tech Civil Engineering. When admission will open for MS CS ….and what is eligibility criteria….?? and is there clssess ofered for weekend…..as im from fasialabad and doing a job and wanna take admision in weekend classes. If you want to apply for MSCS. Then University not offered weekend Classes. It only offered regular classes. When admissions are open for MSCS? Is entry test compulsory for admissio? If I come lait then how can I get admisson? Admission are not open for MSCS. Entry Test is compulsory for admission in MSCS. If you come late then admission office will guide you in better way. sir superior univeristy ka bs civil tech ka merit kaya hy. Superior University not offered full scholarship. University offered 50%, 25% scholarship for the needy students. Yes, you apply for admission in Mass Communication. Merit of mass communication is 60%. Yes, you get admission in Superior University for MIT. You apply for admission till 22 Sep. Classes for BS Aviation should be started 03rd Octo. Yes, university offered M.Phil in Mass Communication Management. You will get admission form from University till 22 Sep. University also offered Scholarship. Secondly are you offering a as in pain management? Superior University has not offered M.phil in Pain Management. Last Date of Form Submission 22 Sep. Admission Test hedl on 23rd Sep and result should be display on 24 Sep. Admission schedule will be mentioned in last comment. Result should be updated soon. Plz tell me what is the procedure to apply in m.phill economics?? How can we apply? If you want to apply for M.Phil in Economics than you will apply on-line thorough official webpage and get prospectus from university admission cell. is superior uni offers civil engineering ? if yes,then what is last date of admission in bs tech??? ?